What’s in this book for you? Simply, a whole new perspective on life. Your life. 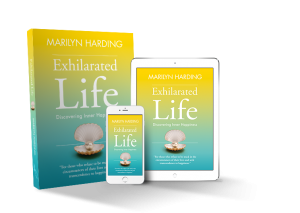 Using personal anecdote, Marilyn Harding unpacks the wisdom teachings both modern and ancient and takes them out of theory and into practical application. You get to experience the sometimes comedic, sometimes tragic struggle toward practical enlightenment, which in the words of the author is nothing more than lightening up. You are there when the light of truth dawns.